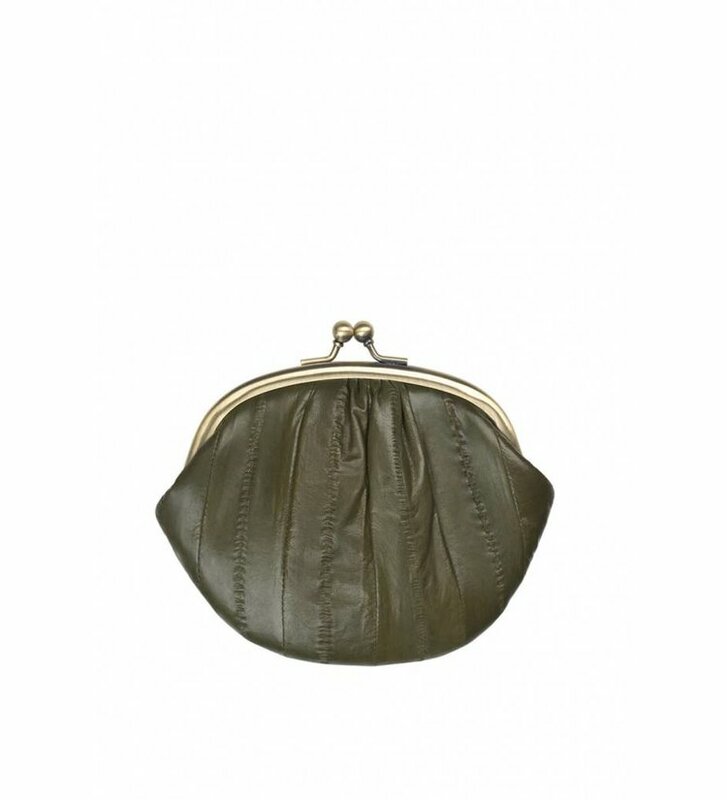 Exclusive purse from Becksondergaard. 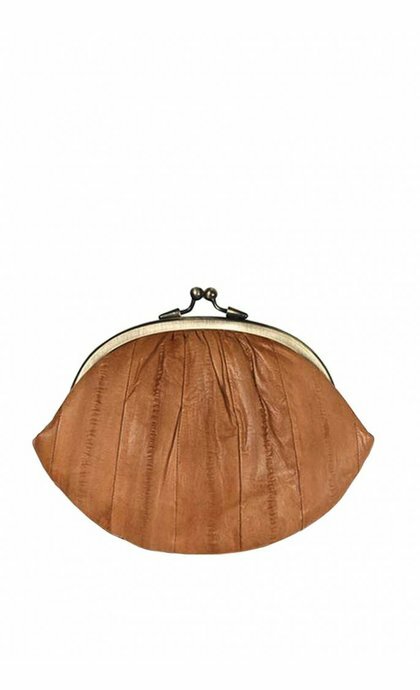 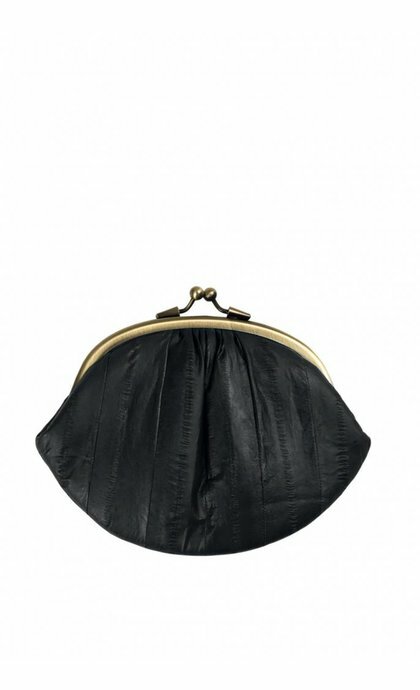 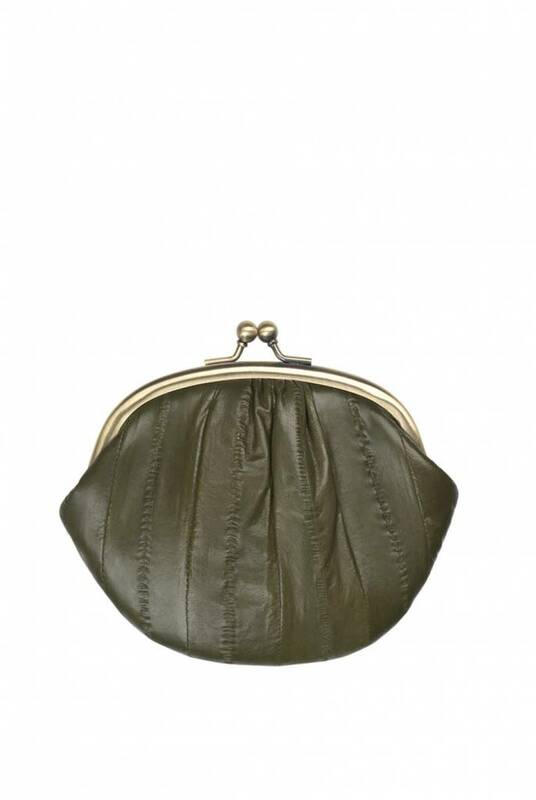 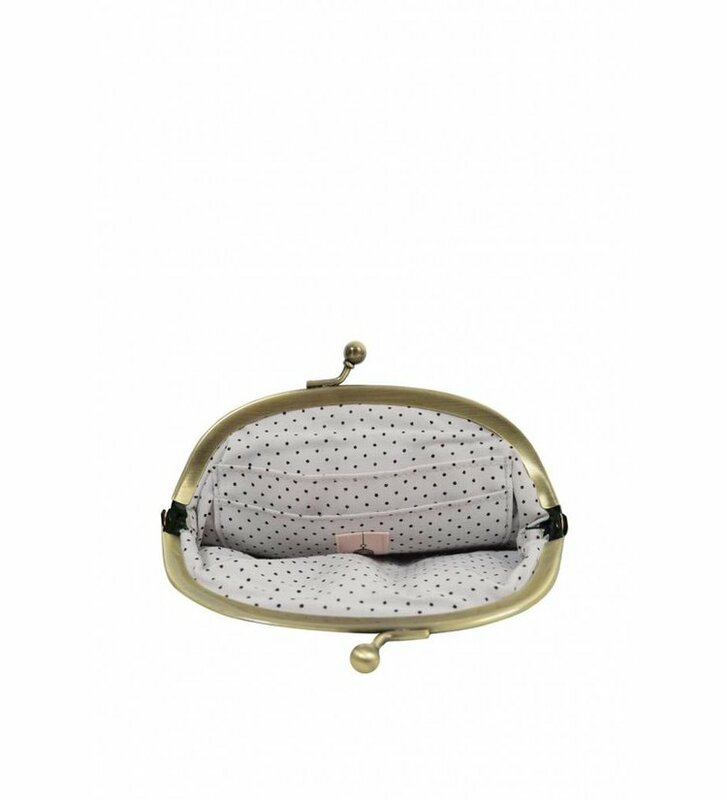 The Mini Granny purse in Dark Olive is handmade of real Eelskin with a traditional brass closure. 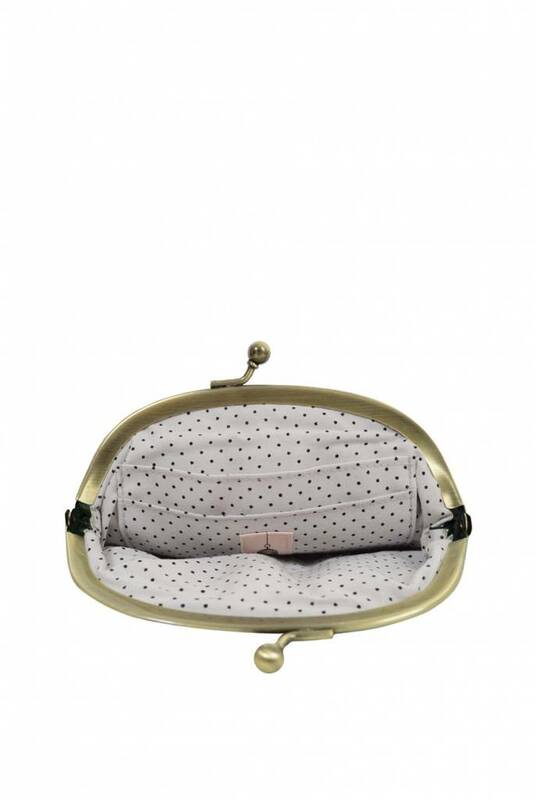 The inside has two card pockets and the purse is fully lined.